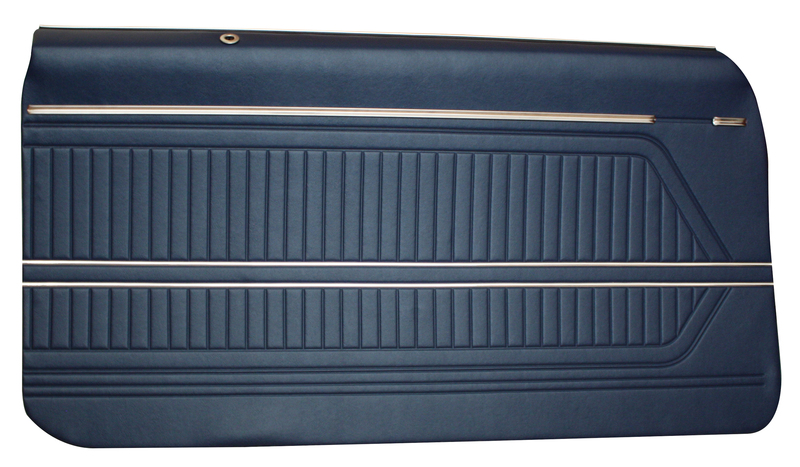 Distinctive Industries 1967-69 Firebird Standard Pre-Assembled Door/Quarter Panels are a correct reproduction of the original. We offer original Madrid grain in 32 oz. 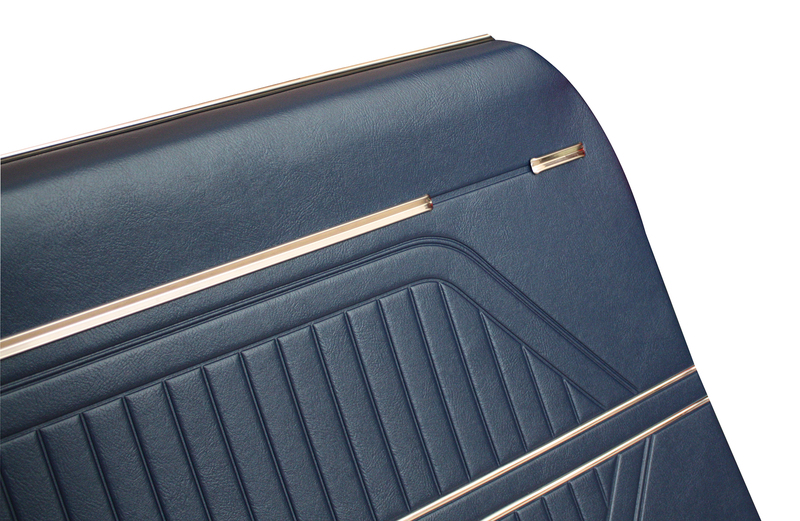 vinyl, Mylar® trim on 1969 models and correct dielectrically heat sealed patterns as original. The Dielectric patterns are correct along with hole placement pre-cut into the panel back by a die cut fiber board, just like the originals. Door Panel emblems not included. Offered in Black L-2295, Blue L-3598, Gold L-3025, Green L-3606, Parchment L-2300, Red L-3048 and White L-2305.